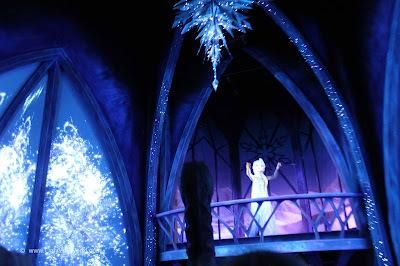 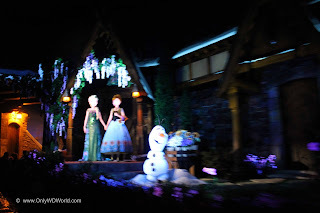 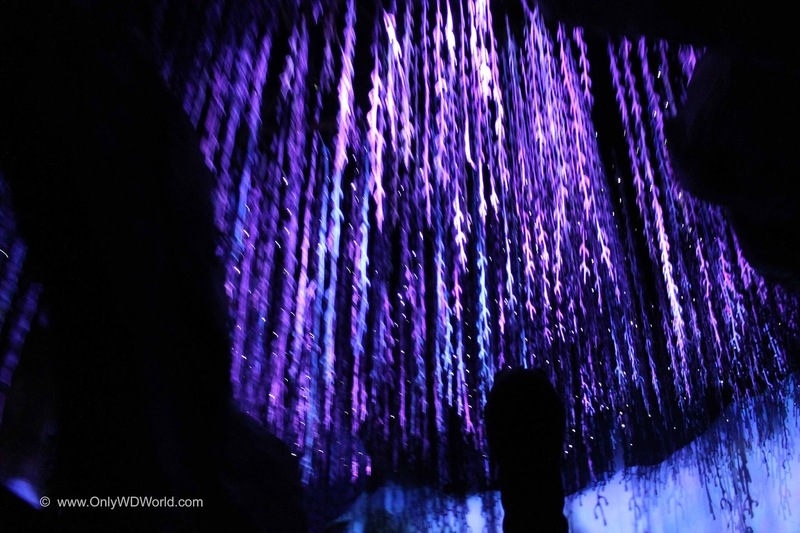 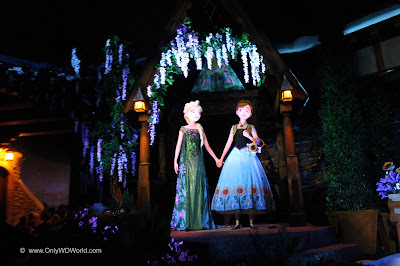 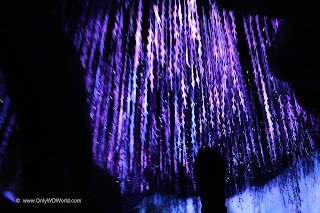 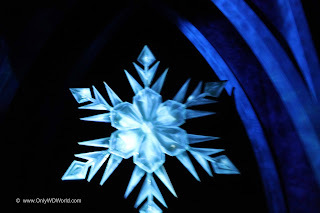 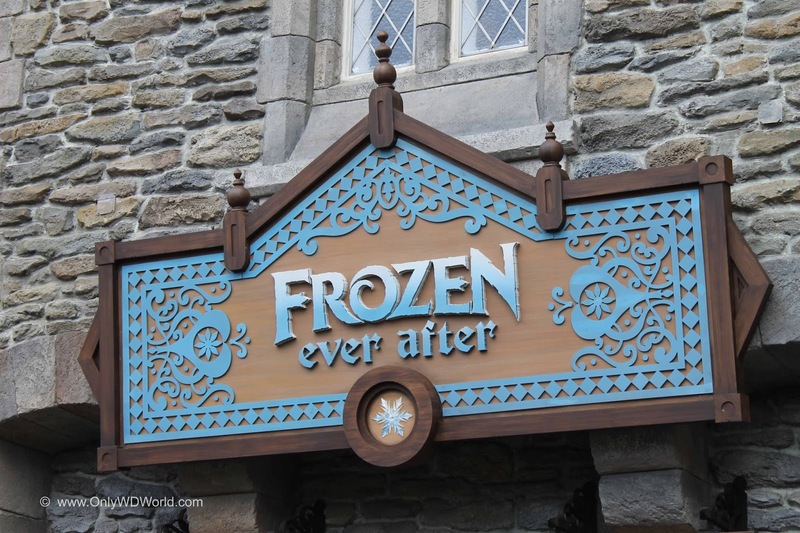 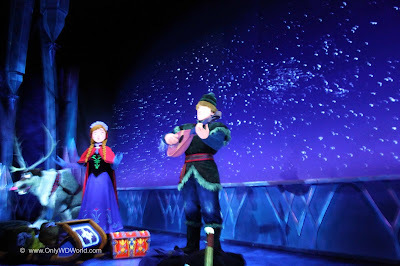 Epcot's World Showcase welcomes a new Disney World dark ride that takes Disney guests into the world of the tremendously popular animated movie Frozen called Frozen Ever After. 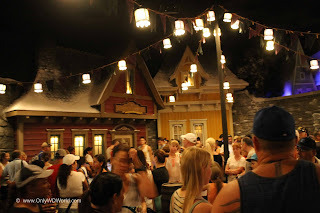 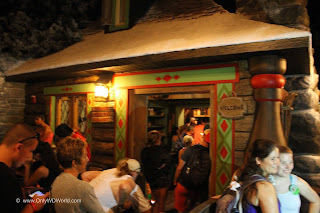 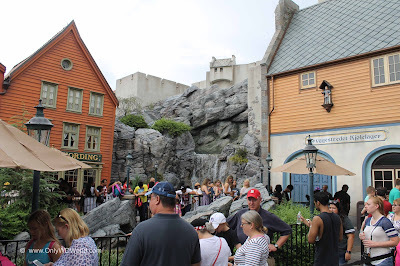 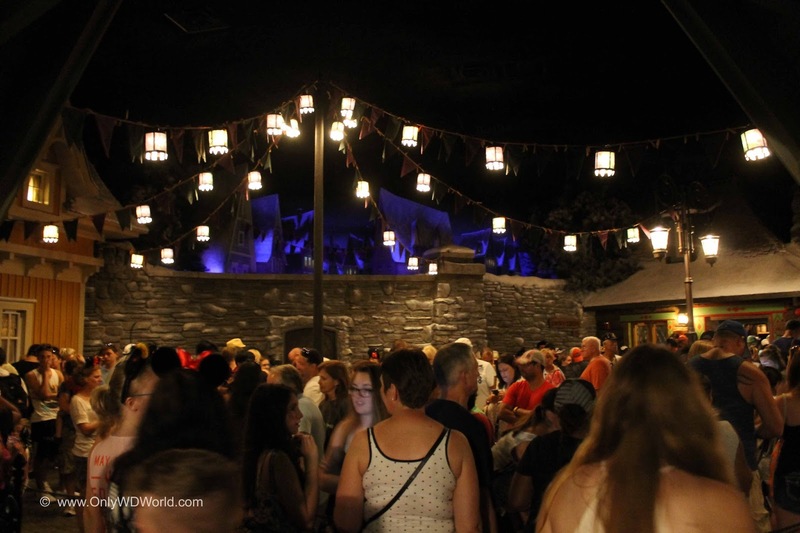 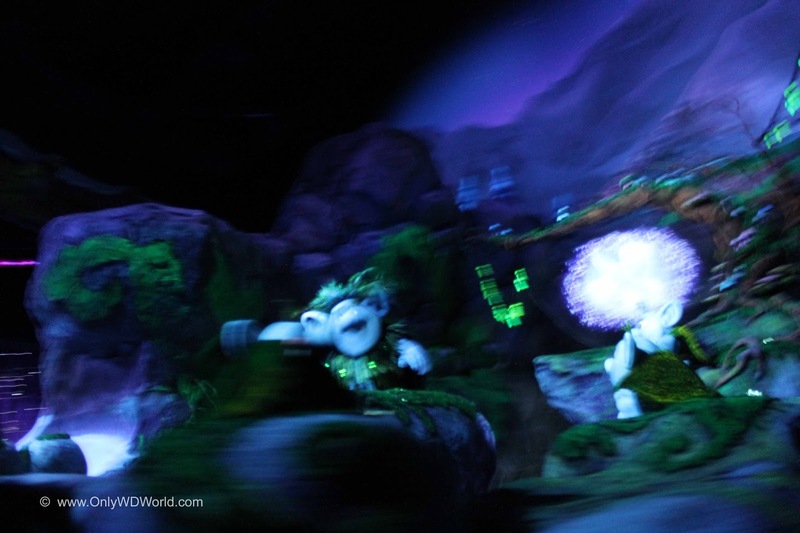 Residing in the Epcot Norway Pavilion in the former home of Maelstrom is one of the most anticipated Disney attractions. 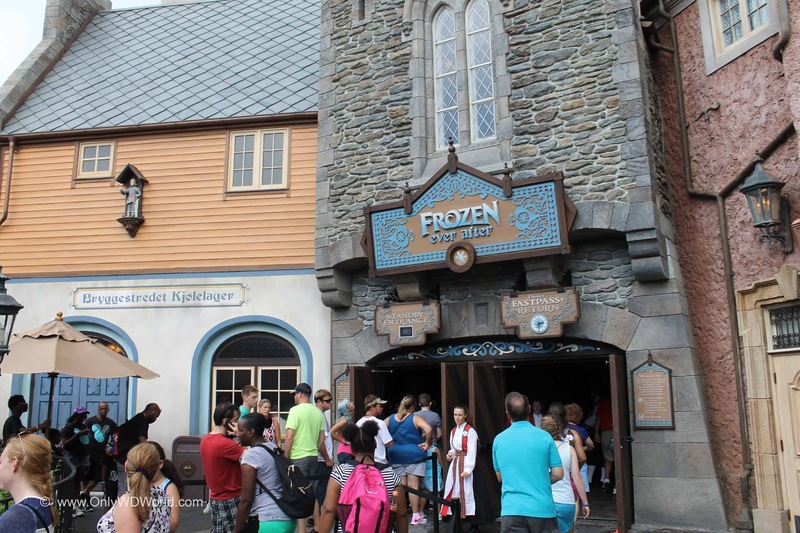 Located in the back of the Norway pavilion, Frozen Ever After is your chance to transport to the world of Arendelle and see your favorite Frozen Characters. 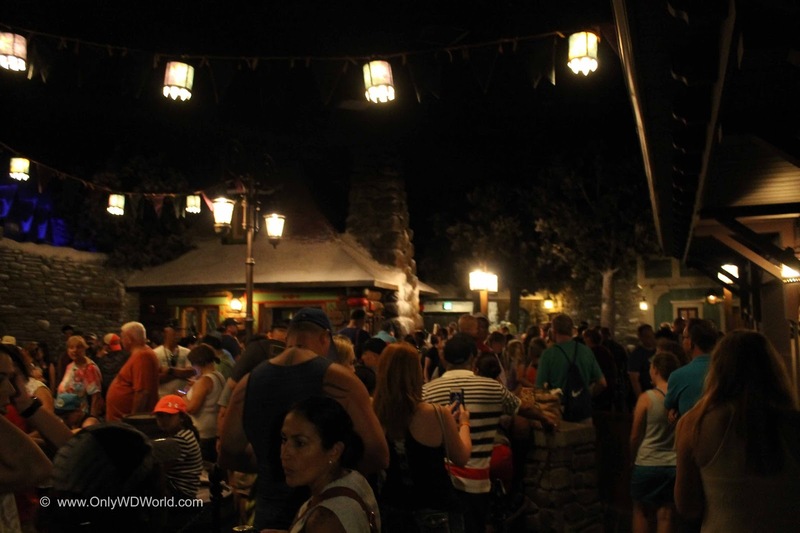 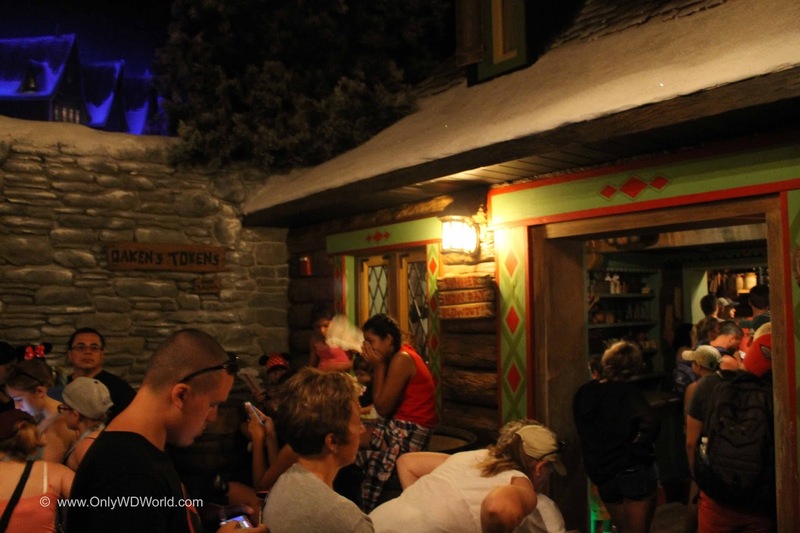 The pre-ride queue area is vastly different than Maelstrom and Frozen fans will appreciate the attention to detail. 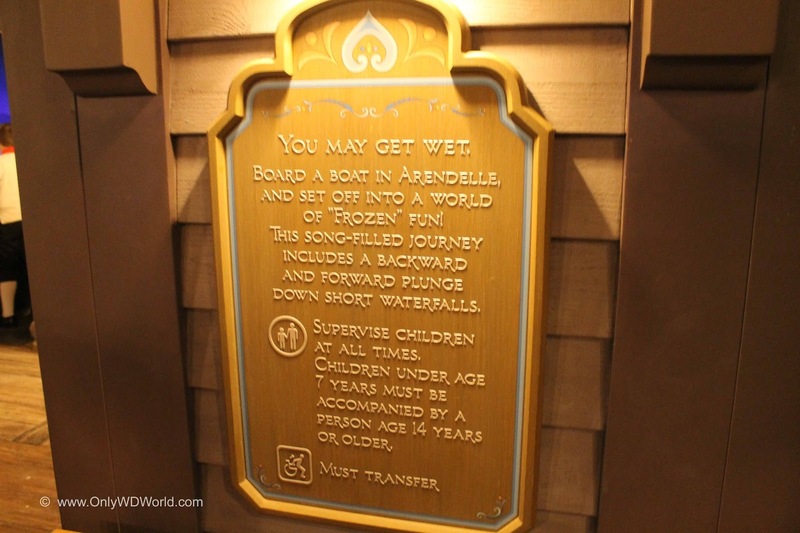 with an unselfish act of true love. All Shall Be Welcome to a Royal Reception inside the Ice Palace. 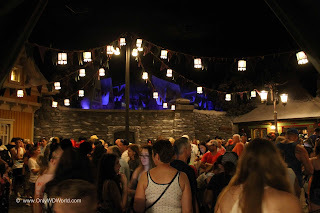 The queue shows you a view inside Arendelle to see this charming country, The attention to detail is well done and there is quite a lot to see while you wait to board your ship to Queen Elsa's Ice Palace. 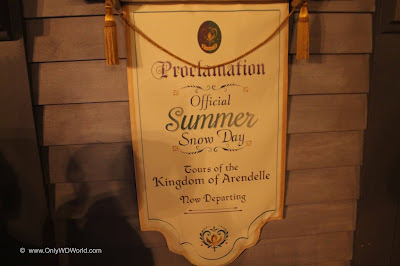 The royal Proclamation denotes that it is time to partake in the Official Summer Snow Day! 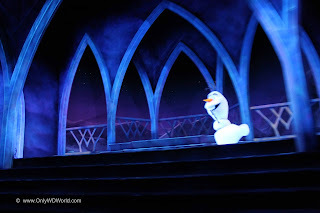 The journey to the Ice Palace starts by entering the Frozen world, meeting Olaf and Sven, the rock trolls, and then Olaf prepares us to meet the Royal hosts. 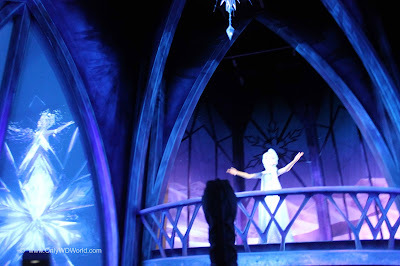 Queen Elsa greets us singing her most famous song "Let It Go!" 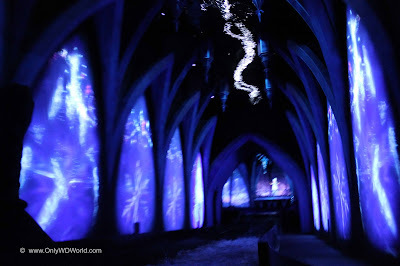 as we tour the amazing Frozen Ice Palace. 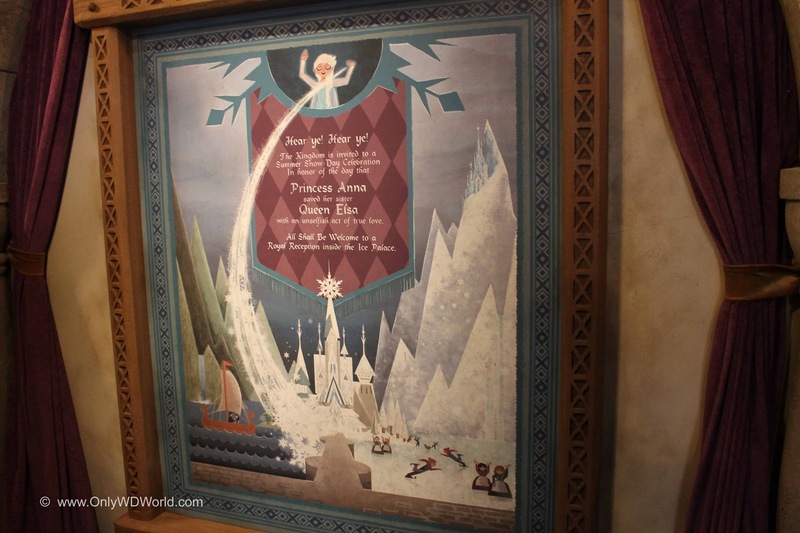 Now we quickly move through past Marshmallow and plunge briefly only to be rejoined by Olaf and Princess Anna and Queen Elsa standing hand-in-hand. 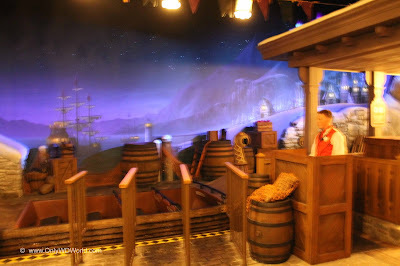 Although we at Only WDWorld feel that this ride does not belong in Epcot's World Showcase, the ride itself is enjoyable. We would love to hear your impressions of Frozen Ever After! Please leave your Ride Review in the Comments! 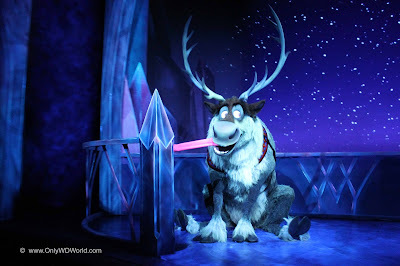 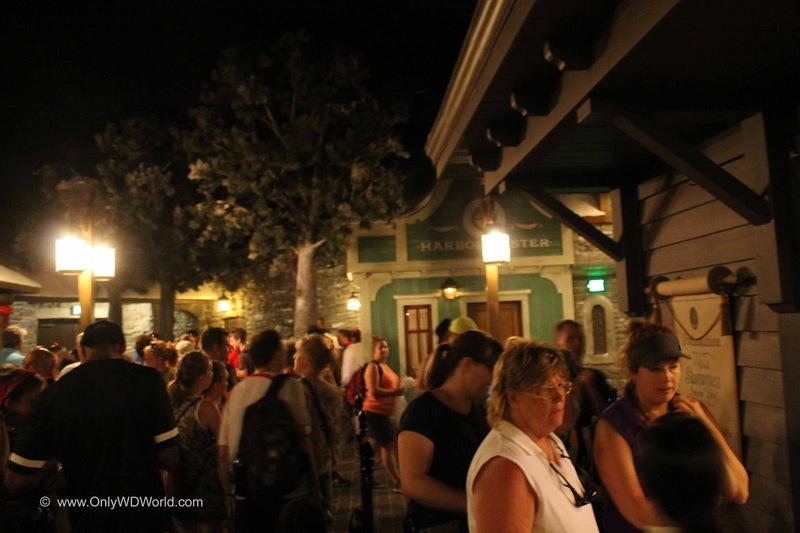 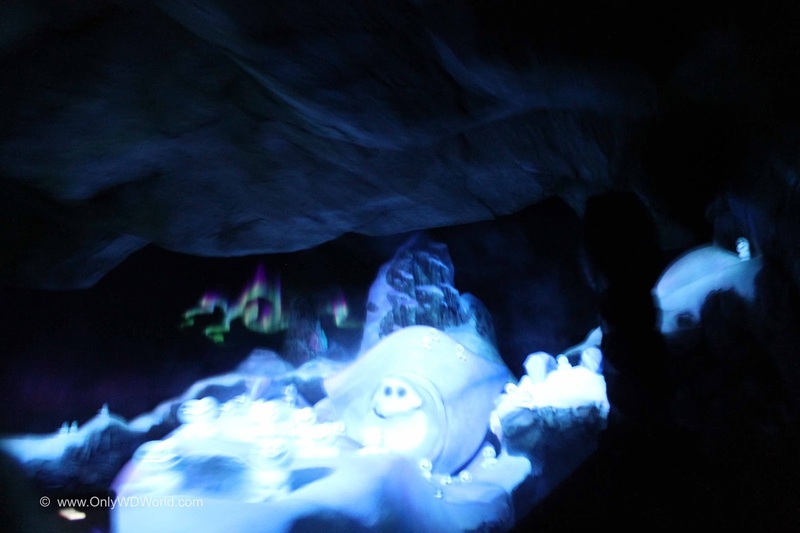 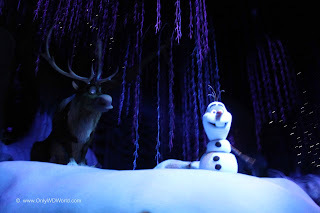 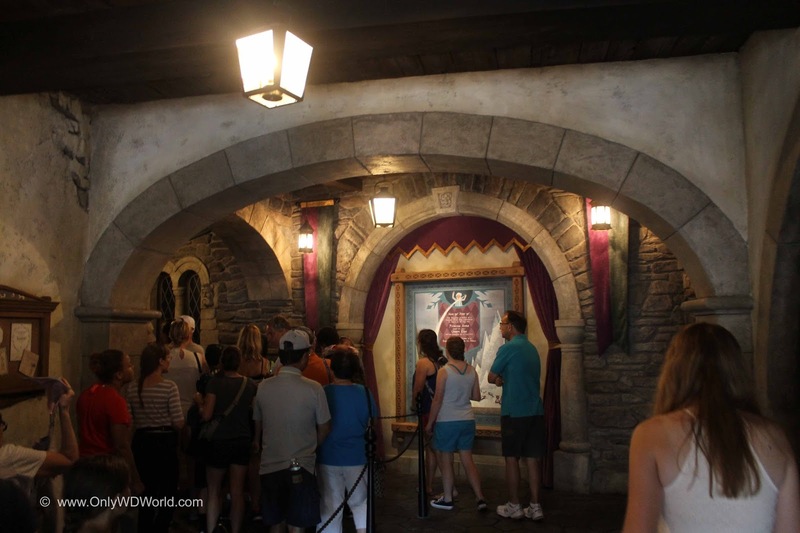 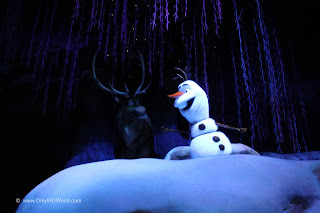 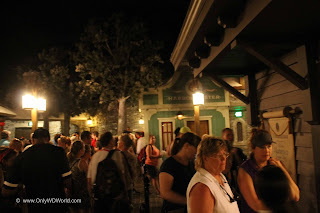 0 comments to "Frozen Ever After: A Review of Epcot's Newest Attraction"